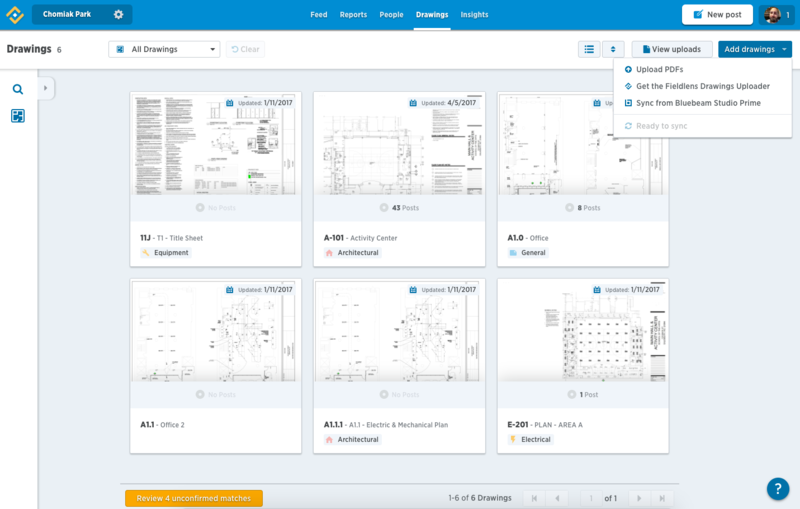 The Fieldlens Drawings feature allows the entire project team to view, markup and add posts to the project plans, making it easy to document and locate jobsite issues from anywhere. Plans are uploaded and organized by the Project Organizer from the web app. Once they’ve been uploaded they are available to all users on both the project from the mobile and web apps. As you and your team start to add posts to the plans, you’ll see pin icons on your drawings. When you click into one, you'll see the pictures, video, conversation and everything else associated with it. You can use the filters and search to look at a subset of posts as well as see the posts from that drawing in a list view. Get started by navigating to your plans and adding a pin. No drawings uploaded yet? Check the example set out in your Company Workspace.